Equip with stay cool handles. Measurements: 12.5" Width x 9.75" Height (outer dimensions). 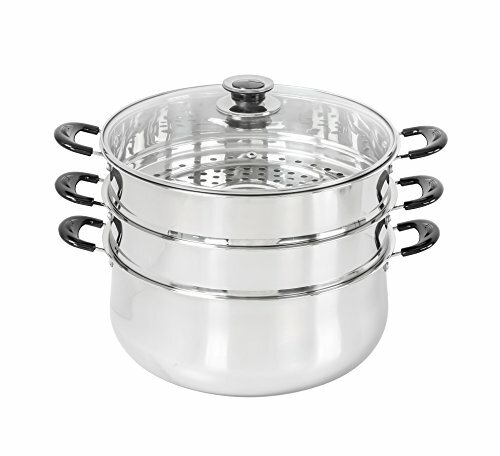 VERY LARGE steamer, great for 3-4 persons.